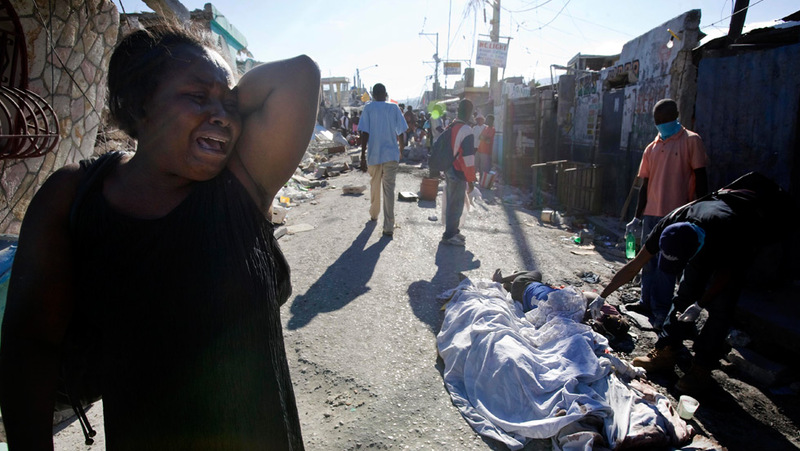 Woman in Haiti crying; dead bodies lining the streets; people have to wear masks or cover their noses and mouths now with their hands, from the smell. If you have been following my blogs on pastor Jay of Fishers Of Men International in Haiti, I received an update from him yesterday. This was a mass email he sent out to many of his friends. I don’t believe he would mind if I shared this, as it has his urgent prayer requests in it. Please continue to pray for him and the people there. My husband Ray and I, his friend Shawn, and some other people are now raising support for pastor Jay and are raising funds for a missions trip there within the coming weeks to go help him. Please pray for God to make a way, for nothing is impossible with God! The dangers there are very great. Haiti already had a high crime rate, and now with the disaster there are reports of increased looting, carjackings, and shootings. Water, food, fuel, and medical supplies are desperately needed. The Red Cross estimates 50,000 have died, and the smell of the dead bodies is now overpowering. The greatest problems now are how and where to bury the dead, treating the massive amounts of injured people, supplying food and water to the masses, and the risk of disease. The rebuilding will be slow. This reminds me so much of the book of Nehemiah chapters 4 to 6, when the enemies taunted Nehemiah that they would never rebuild the walls of the city of Jerusalem that were in ruins. But Nehemiah stood on the word of the Lord, told the people that God would fight for them, stationed guards as the young men worked, and they continued building until it was finished. Let it be so with Haiti, for the glory of God. Yesterday was extremely stressed as we began to uncover debree and get reports of those who died. We have incurred great loss and my heart is heavy with grief. The father of my God child has died. Pastor Estins youngest son has died. Pastor Kenold’s wife has died. Long time teacher Mr. Mark died…on and on. Staff and friends are all burying their dead. I have a way to send out American staff today and will do so. I will stay until….. I could use 2-4 men to come in and labor in support. I must know them, they must be submitted and they must be able to tough it out with little to nothing….. Let me know….Please keep us in prayer. At present we are coordinating with organizations to get relief on the ground. Very busy. Very overwhelming. The busy ness is intense, but it does keep you from thinking on the negative and pushing to what God wants to do. We’re now coming into the time where we will have no fuel, no water, no food, no electricity. People are starting to get restless. Pray we can find these essentials. If any one has a handle on fuel from government recourses let me know. I’m receiving many of your emails, be patient and will try to respond. 187 emails yesterday. For immediate help from the average person… Send a love offering to the office. We have massive rebuilding to do.This will all take time. I’m thank ful for the response we’re getting but remember when the story goes cold on Fox and CNN, we’ll still be here rebuilding. If you would like to send support directly to pastor Jay, here is his website.